Having a leak in your pool is not something you should take lightly. You should contact a pool leak detection specialist that has experience dealing with pool leaks in your area. If you want to try to find the pool leak yourself, there are a couple of options. The most common way of checking the swimming pool for a leak is by doing a "bucket test" along with a quick inspection of your decking area surrounding the pool and the landscaping close to the pool. To perform a leak test, get an empty bucket and put it inside your pool. For an in ground pool you can place it either on a chair or stool inside the pool or even on the pool stairs. Add enough water to the bucket until the water both inside and outside the bucket are equal. Mark lines to match the water level on both sides of the bucket. Let 24 hours pass. If the level of water outside of the bucket has gone down further than the water inside of the bucket, you can feel pretty confident that you have a pool leak. There are a couple other ways to confirm a leak before you contact a professional. You can redo the bucket test one more time, but the second time you can do it with your pump and pool filter off. Check again after 24 hours have passed and see if the water levels are even or off. You can check the inside of the pool yourself. Carefully inspect all the seams, lining and cracks in the pool. Be careful to examine all the o-rings and plugs while inside the pool. This is going to take a bit of time, but it will help you determine where the leak is coming from. If you have an idea where the leak may be coming from, you can put a tiny drop of dye into the pool close to where you suspect the leak. If they dye gets immediately sucked into the seam or crack, you've probably found the leak. When you do find it, don't just stop there. There could be more than just one leak. 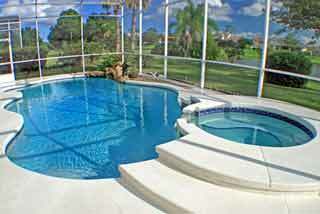 Inspect your entire pool so you have all possibilities covered. If you don't find anything after either of your inspections, it's a good possibility that the trouble may be in a piece of your pool equipment. This could be the pump or filter. The best thing to do on this case is contact a professional who can come and give a thorough investigation of your pool. Write down the things you checked and results you found to give the professional. If a pool leak is not repaired properly or in a timely manner, it can cause a lot more damage to the pool. For example, if you have a tiny crack, it can become a larger crack over time as debris and water fill the opening. This will cause the crack to continue expanding rather quickly. Consequently, if you do have a crack, the water that goes inside the crack will run off into other areas that it shouldn't be in. This could eventually cause more structural damage the pool and surrounding area as well as potential damage to your pool equipment. Once you contact a pool professional, they will come out and probably begin by testing the pressure in the plumbing lines of your pool. This will indicate if the leak is in the shell of the pool or if it's in the plumbing area. The professionals use specialized equipment that is designed to give fast and accurate results. After this test, the pool professional will go through another series of tests with diving equipment and specialized electronics to pinpoint your leak. If you suspect a leak in your pool, don't wait to call a professional. Contacting a professional as soon as possible will help you avoid any further damages to your pool.